Thairapeutic Massage is an institution in Sydney CBD Massage, providing an upmarket massage experience with spacious massage rooms, shower, and skilled Thai, Japanese and Chinese masseuses. After moving from Bathurst Street to World Square we have kept the best of our girls and recruited some stunning new ones. Still centrally located for the stressed city worker needing a quick pick me up, therapy for a sore neck, shoulders or back, or an extended relaxation session. Now open to 8:30pm - drop in if working late to work out all that desk-bound strain. Directions: Opposite Sydney City RSL Club on George Street. Take lift to Level 2, turn left and left at corner. 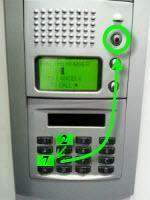 See below for keypad entry after hours. Speciality: Asian style full body to body oil massage. Services: Adult massage from gorgeous Japanese, Chinese and Thai masseuses. 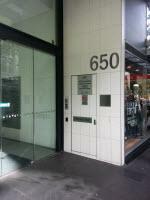 Public Transport: Walking distance down the hill from Town Hall Station, or Pitt Street Bus Route. Will soon be on the light rail route! Premises: Modern, clean, spacious. Shower and bathroom available. Looking for the best in Sydney CBD body to body massage? Call (02) 9283 8258 or 0451 877 399 now for an appointment. (Select number to call from mobile phone).